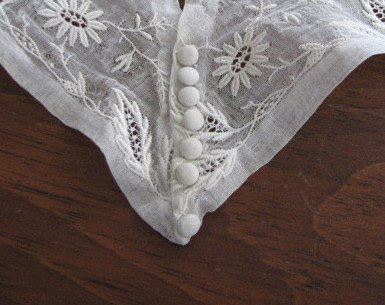 These lovely vintage collars are listed in My eBay and end Sunday evening. This is my favorite! I will be sorry to see it go. Doggy update for those following Cider's progress. Cider saw a Veterinary Oncologist (cancer expert) on Friday. These specialty hospitals are not for the faint of heart or pocket-book! We haven't even met with the surgeon yet, but it is $157.00 per consultation. I was advised that the surgery will only happen after my dog completes the mandatory pre-op work: totaling $1300.00 on X-rays, blood work and yet another biopsy. I am becoming quite skeptical about specialists and will be meeting with my local vet again on Monday. I had hoped for at least 3 more years of pain free health for my dog and was hoping that could be obtained for under $1,500.00. I love those collars...they're beautiful! I'm not sure what I'd do in your situation...that's a tough one. Best of luck to you and your adorable doggie! Wow! $10,000 for treatment! I just got up from the floor! I am glad that she is pain-free and I pray that she continues to be happy and comfortable. Keep looking for other options. Hopefully your vet will have some good alternatives. 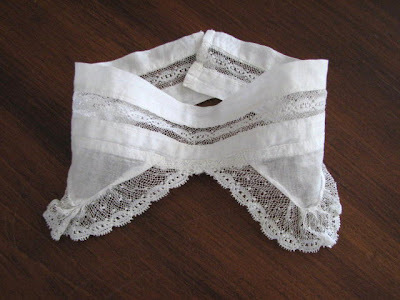 The lace collars are amazing! Karen that is an outrageous amount of money and understand you wanting to just see how she does. Hopefully the vet will come up with something else, that will be easier on the budget. Best of luck and I hope that she will continue to have a happy, pain free life. 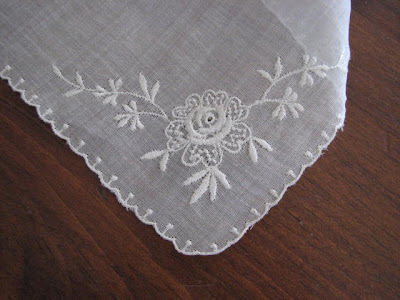 Love your lace collars ~ all the time and work that has gone into them. Dear Karen, I am sorry to hear all this news about Cider :( My heart goes out to you because I know how you feel, we are torn, first of all that is way over anyones budget but not the money , how our pet feels too, I can't see putting any dog of my own through chemo, but that is just me personally. My puppy has been sick on and off for a week, so Friday to the vet's, two visits in one day, second visit was 2 xrays, shots of anti nausea and xanax and medicine to take home,plust the prescription dog food for sore tummies. And no answer to his problem. $379 and I almost passed out when she told me, but what can you do? Sorry, I think I wrote a book here, I just get so wound up with the charges, is this the cost for loving animals? 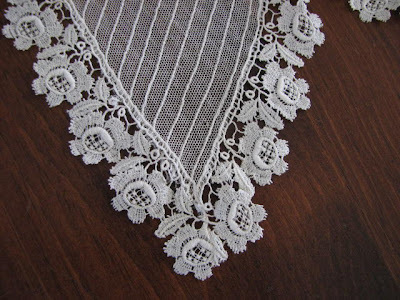 Karen, I forgot to mention, I just love vintage lace collars, and these are real beauties, hope you did well on Ebay. I can't afford to shop right now after my vet bill ! Karen, that is unbelievable the amount of money to treat your beloved Cider!!! i can't believe how utterly expensive all of that is...i hope she is able to be treated to keep her comfortable without all of the pricey procedures!!! 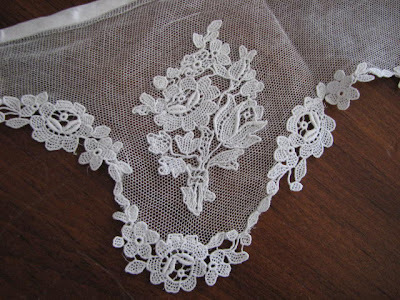 your lace collars are gorgeous!!! Those collars are exquisite! Thanks for sharing the photos of them. Easter Swap Package Arrived Today! Things Happen in Three's . . .
Easter Swap ~ Off to Italy! Somethin's Up . . .